ITAP, the Innovation and Technology Asssociation of PEI, is focusing it's efforts to encourage more women on P.E.I. to enter the Information Technology industry. The program is called Women in IT, or WIT. 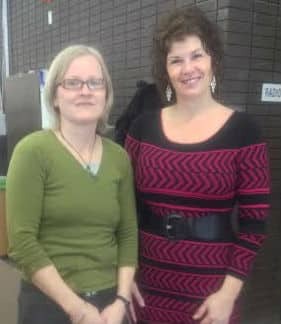 Margaret Gallant is with ITAP, and Maria Steele is with Deltaware, and they both joined Karen Mair in Studio to talk about Women in IT. 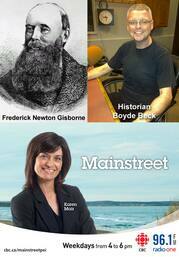 Historian Boyde Beck takes us back to the 1845s, when news traveled at the speed of a galloping horse, a mailman or a ship. Frederick Newton Gisborne laid the first deep-sea cable between PEI and New Brunswick in 1852, offering Islanders telegraph communications. Students at Stonepark Intermediate had the thrill of a lifetime today. 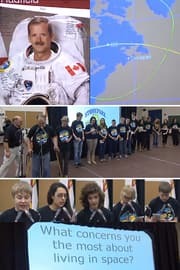 They got to speak with Canadian Astronaut Chris Hadfield, who's at the International Space Station. Lindsay Carroll talked to John Williams, Isaac Kirkland, Lydia Craig and Mick Roberts, just some of the students who got to ask the astronaut questions. You can see Lindsay's story, at this link to Compass.